Until the debut of the Aurora, Brooklyn Bedding produced one mattress, the Brooklyn Signature (#BestMattressEver). 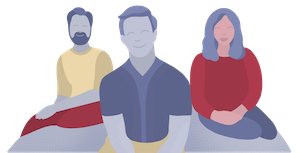 In early 2017, they updated that mattress and you can read our review of it, here. 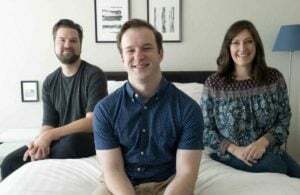 Brooklyn says that the new Aurora mattress is their “coolest take on affordable luxury.” It is quite different from the original mattresses – it is a hybrid (foam and coils) instead of all foam and features five layers, including TitanCool advanced phase change material technology built in. The Brooklyn Bedding Aurora is a luxury mattress that a lot of people will like. You can get 20% off the Aurora mattress by clicking the link below and using code CLARITY20 at checkout. The company goes into a good amount of detail to help you figure out which firmness/comfort level is best for you. They say that the medium firmness will work for all sleep positions: back, side and stomach. Brooklyn Bedding’s Aurora mattress is all about keeping you cool. They also use a lot of specialized materials with unique names that may be confusing at first glance. Below you will see a breakdown and description of the Aurora mattress. Below that, I’ve tried to give a little explainer about what some of the new terms mean and how that plays into the overall feel of the mattress. Two-Way Circular Knit (Stretch) Cover: with a phase change component (helps it to feel cool to the touch). 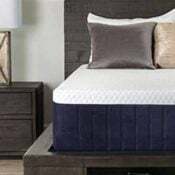 1” (Transition) Firm Swirl Visco-Elastic Memory Foam Layer: A transition layer with the contouring properties of memory foam provides deep compression support, especially important to heavy sleepers. Foam is 2.5lb in density. 8’ Quantum Edge Pocketed Coils– An engineered layer consisting of 1,283 individually pocketed coils allows for better reactivity and motion isolation, minimizing sleep disturbance. 1” Base Support Foam: A high-density foundation gives the mattress structural firmness as well as a durable core. TitanFlex is a hyper-elastic high-density foam with immediate response technology and increased durability. It feels like a latex alternative. TitanCool is a technology that uses phase change material to draw body heat away from your body so you can stay comfortable overnight. To learn more about what phase change materials are, click here. The mattress is manufactured in Phoenix, AZ and the foam used is 2017 Certi-Pur Certified Poly Foam. You’re a hot sleeper. Nearly every aspect of this mattress has some sort of cooling material or technique in place. There is phase change material within the circular knit cover that makes it feel cool to the touch. 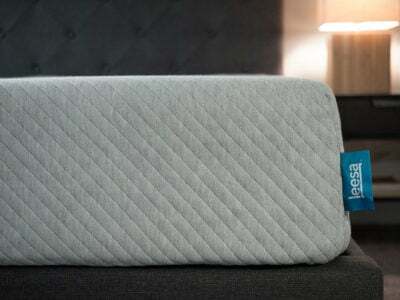 The top 1.5″ foam layer of the mattress features TitanFlex foam with TitanCool advanced technology. The bed also uses a mix of foam and coils to promote airflow within the bed. You want some pressure relief. 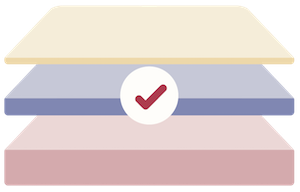 There are 4.5″ of foam in the top of the Aurora mattress. This is made up of Medium and Medium Firm TitanFlex foam as well as an inch of memory foam. This top 1.5″ of Medium TitanFlex is soft enough to let you dip into the mattress and let it contour to your body and relieve pressure, especially on the hips and shoulders. Once you reach the second layer of TitanFlex you will be able to feel the firmness. You like a latex-like feel over a memory foam feel. The Aurora does have an inch of memory foam deep within the mattress, but you mostly feel the responsiveness of the TitanFlex foam, which has a more latex-like feel overall. You won’t sink deeply into your bed the way you would with a true memory foam bed. You are a diehard innerspring or memory foam fan. Similar to the Signature (#BestMattressEver) mattress, the Aurora is made with TitanFlex foam, which is a latex alternative. It has all the response of latex and you will certainly feel like you’re sleeping “on top” of the bed. 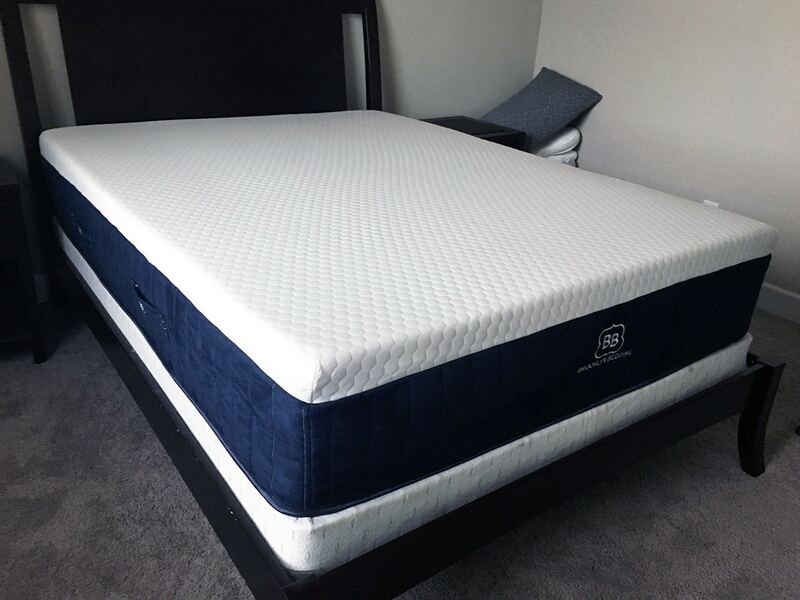 There is a layer of springs that help keep the bed breathable and works well for motion isolation, but overall it has a more latex foam like feel than anything else. You like to feel like you’re sleeping “in” the bed. Though the top layer of this bed does let you sink into the mattress slightly, it is not a memory foam mattress. 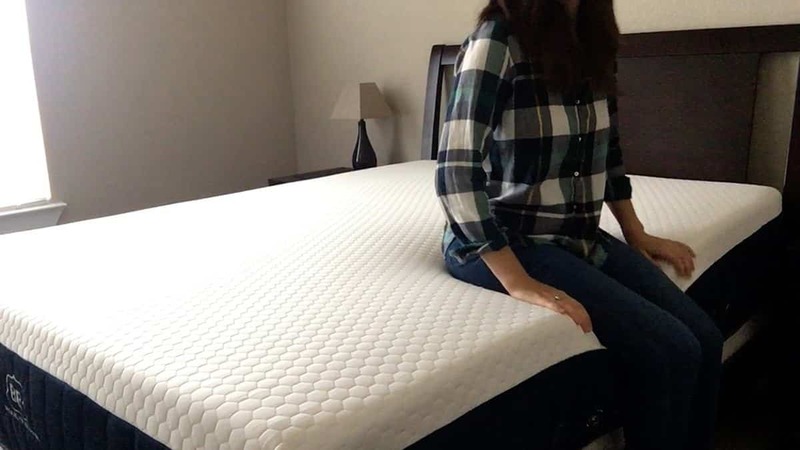 The latex alternative TitanFlex foam will feel comfortable but you will still feel like you’re sleeping on top of the mattress, as opposed to in the mattress. 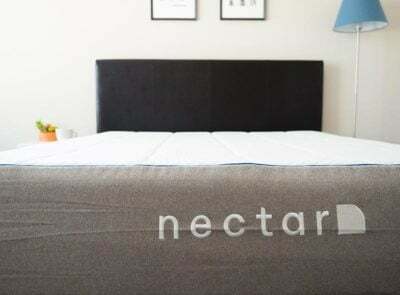 For a feel like that, you may want to consider the Lucid Plush Gel Memory Foam mattress. You’re on a budget. The Aurora is not the cheapest bed-in-a-box mattress available. And it really shouldn’t be because it is made with high-quality materials and craftsmanship. It’s valued (in my opinion) probably where it should be at around $1,699 for a Queen. If you have your heart set on a Brooklyn Bedding mattress, their signature bed is more affordably priced at $750 for a Queen. *Brooklyn Bedding is currently offering $300 off all Aurora purchases. The Aurora has a feel that is closer to a latex mattress than a memory foam. Like latex, the TitanFlex foam is extremely responsive. 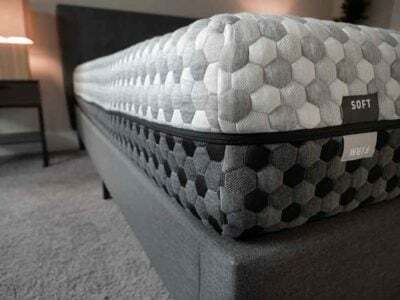 The top 1.5″ of the mattress are the least firm and you sink in slightly but you will start to feel the firmness after the second layer of firmer TitanFlex and Firm Memory foam directly underneath. Check out the video for more details on the firmness and feel of the Aurora. Latex mattresses are known for their spring and quick response time, making it less appealing for motion isolation than memory foam. However, the TitanFlex foam on the Aurora wasn’t too bad during our Motion Transfer Test. The individually pocketed coils help with stability as well. It is still a responsive bed, so it’s not perfect – but overall the motion isolation was pretty good. Check out my video below to see more. 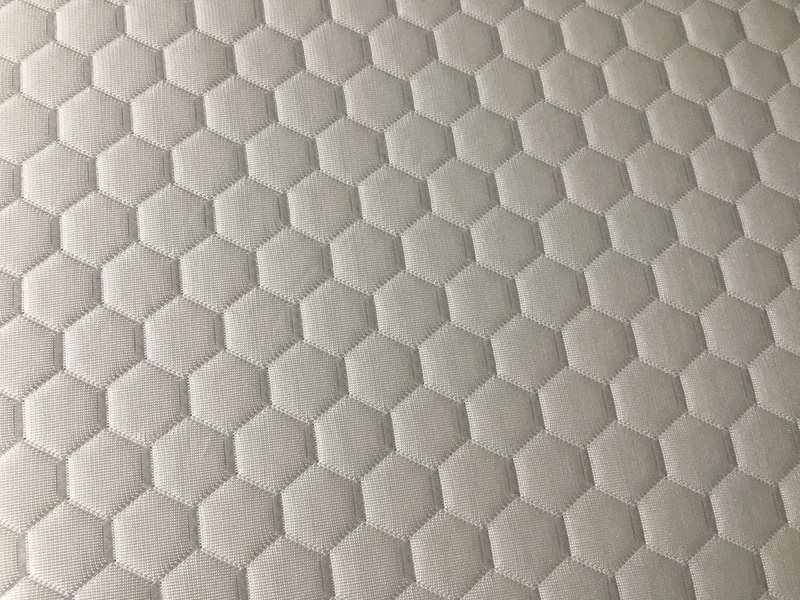 The mattress features an 8″ layer of Quantum Edge Pocketed Coils that go all the way to the edge of the mattress. This helps give it pretty good edge support and use of the majority of the mattress surface. 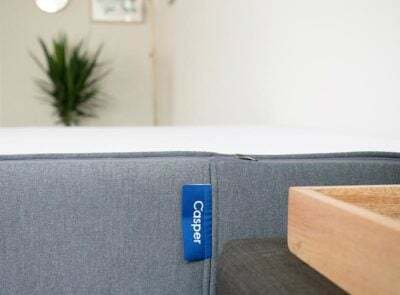 Cooling: Between the TitanCool technology and the individual coils to promote airflow, there are a lot of ways this mattress is able to breathe and stay cool. The cover is even cool to the touch. Overall Feel: The dual layering of the Medium and Medium Firm TitanFlex foams gives the mattress a truly comfortable feel. The softer layer allows you to sink in slightly and feel the mattress contour to your body while the firmer layers and coils below provide good support. I had an overall positive experience reviewing the Aurora mattress. I think it is spot on with breathability and helping to keep you cool at night. 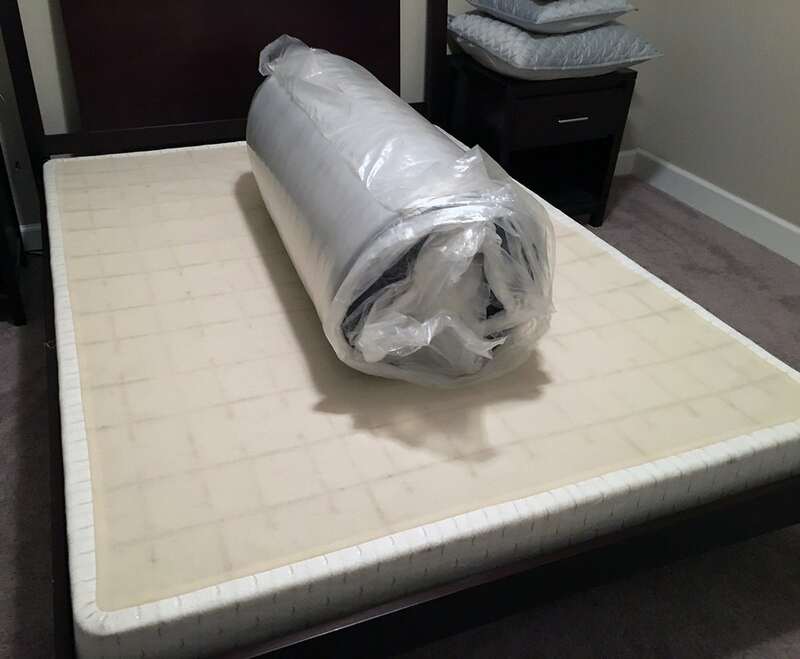 I also thought that pairing a firmer layer of TitanFlex foam directly underneath a slightly thinner and softer layer of the TitanFlex foam made the mattress pressure reliving yet supportive and comfortable all night. 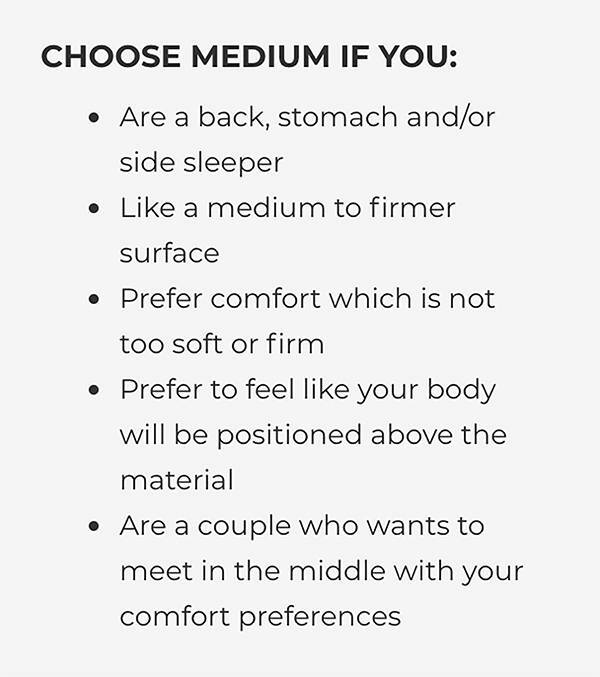 There are three comfort levels to choose from: Soft, Medium and Firm. With the 120-night trial, I think it’s worth a try if it’s in your budget and you like both latex and memory foam beds. The Aurora mattress from Brooklyn Bedding is a refreshing hybrid mattress that has cooling and pressure relieiving components all in one. The high-quality materials, thoughtful construction all make it a good value for the price. Do they have white glove service?